Sometimes you are able to get the most creative when you are limited to what you can use on a project. This is the reasoning behind our next challenge, the Limited Ingredients Challenge. Customers are provided with a specific list of supplies to create a one-of–a-kind project. Here's my take on this Limited Ingredients Challenge. I decided to use the Soft Stone strip to house my sentiment. It got a bit lost on the Aqua Mist card base, so I trimmed it with strips of white cardstock. 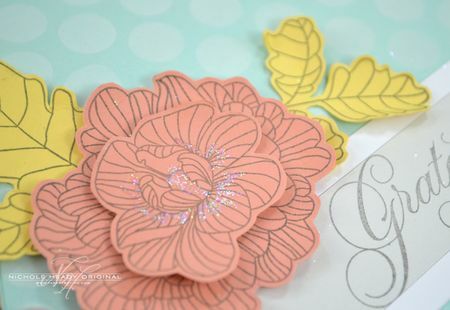 I stamped the flowers from In Bloom onto Melon Berry cardstock with Charcoal Palette ink and cut them out with scissors. I then added a bit of glitter to the center for sparkle. Now that you've seen what I cam up with, take a look at these amazing creations, by the best in the business! –Here is the list of supplies you are able to use for this challenge. You don't HAVE to use all of these supplies, but you cannot use anything that is not included on this list (except for a neutral ink, like white, gray and black). We provided you with general color terms as well as our color names, however you can use whatever brand of colored products you like as long as they are close in color to our graphic we provide. You can use any stamps you would like. –You can choose to re-create an exact project from one of the team members or design something of your very own. Your project must also incorporate at least one Papertrey product. 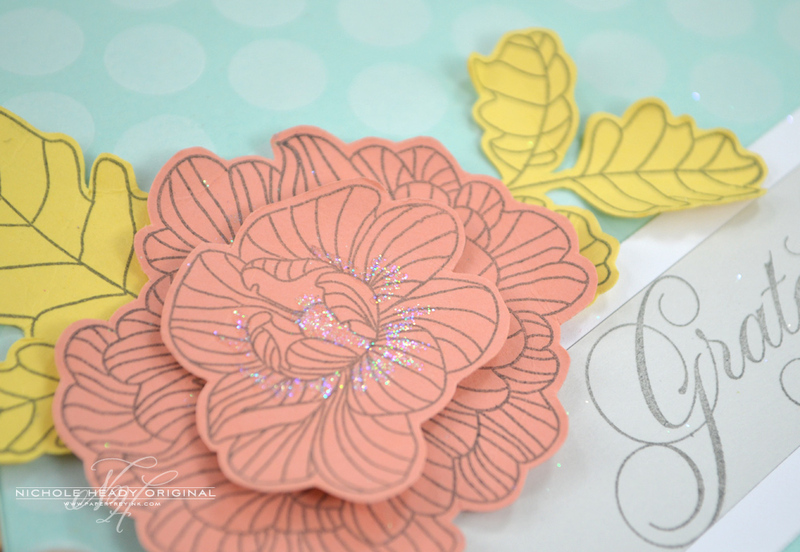 There are so many different embellishments, tools, and other supplies out there to use, that I sometimes feel a little lost – especially when I don’t have a clear vision of a design in my head. So even though limitations can be an obstacle, I often feel it’s a welcome one. It really pushes me to stop thinking I need to add more, more, more to my card and to just create something. Thanks for this challenge! There’s usually hardly any of these around. 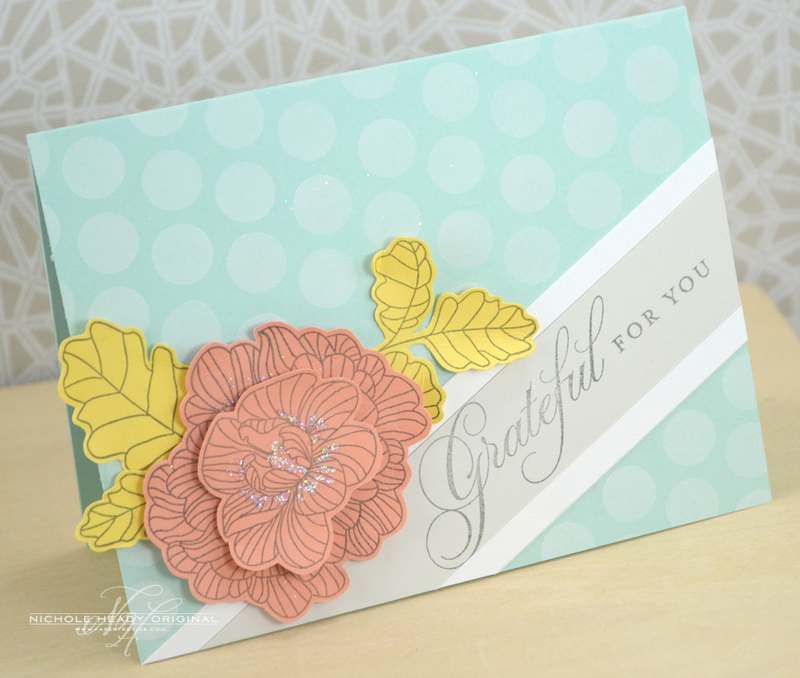 Love a limited challenge – all the decisions are made and it makes it faster to put a card together! What wonderful colors. It’s so fun seeing all the wonderful creations from the same ingredients! This was the toughest for me but turned out to be one of my favorite finished products. Thank you for making me think outside the box (well for me anyway). I had a great time with this challenge but couldn’t get my photo posted in time. The site kept crashing as I was trying to load my photos.